An expert explanation and diagram of how a conventional water softener softens hard water. A standard whole-house water softener works on the principle of ion exchange, called “cation exchange.” It conditions, or “softens,” hard water by substituting sodium chloride (salt) for hard minerals such as calcium, magnesium, and iron. This video uses animation techniques to show you how ion exchange works. 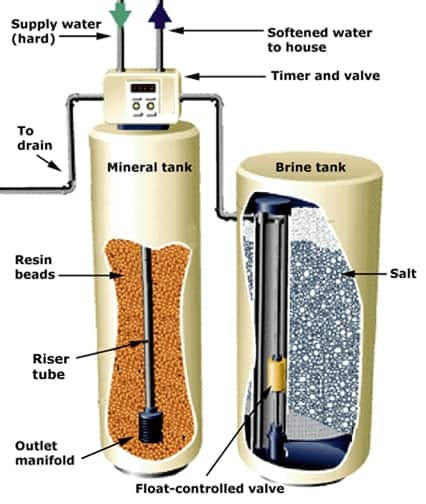 As shown in the diagram below, a typical water softener has a resin (or “mineral”) tank, a brine tank, and some type of control. 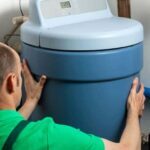 With a conventional cation-exchange water softener, the house water supply pipe is connected to a control valve and timer at the top of the resin tank. These beads, typically styrene and divinylbenzene, have a negative electrical charge that attracts the positively charged mineral ions of hard water while giving off sodium ions. Because of this attraction, minerals in the water, such as calcium and magnesium, adhere to the resin beads as the water passes through the tank. 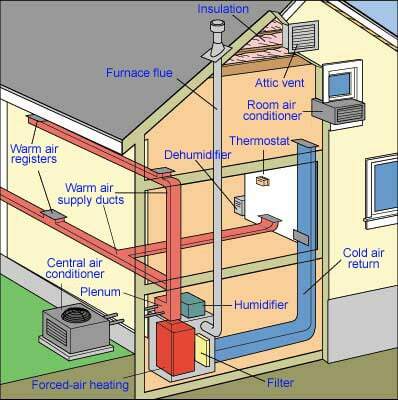 By the time the water reaches the bottom of the tank, it is “softened.” This conditioned water is pumped back up through an “outlet manifold” and “riser tube” and then distributed to the house through a cold water pipe. 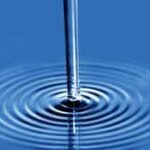 Here is a video that shows the various components of a water softener, and how they operate together. 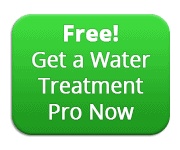 All of the necessary complicated processes happen automatically with a water softener. After a period of time, the resin beads become coated with minerals and must be cleaned or “recharged” to become effective again. The water softener’s timer and/or controls automatically run the appliance through cycles to backwash, recharge, and rinse the beads. A control that is designed to recharge based on the amount of water processed is better than a timer that cycles the unit on a schedule because it operates based on need, not time. The result is a savings in energy, salt, and water. For more about controls, see “Water Softener Controls” in the Water Softener Buying Guide. During a backwash cycle, the flow of water is reversed so that water is forced down the riser tube to the bottom of the tank so that it will flow up through the resin beads in the tank. The unit flushes and expands the resin, washing off the beads and then carrying the minerals out through a drainpipe. A “brine tank” is paired with the mineral tank to help with the regeneration process. During the “brine draw” cycle, salty water (brine) is pumped from the brine tank into the resin tank. As the water flows down through the resin beads, it exchanges sodium with the hard-water ions, regenerating the electrical attraction of the resin beads. Then, when the brine tank is empty, a slow rinse begins, followed by a more forceful fast rinse. With both of these cycles, fresh water rinses excess brine from the resin and expels it down the drain. Then the brine tank is refilled. Once excess sodium is rinsed away and the brine tank is refilled, the system returns to the “service cycle,” ready for water softening again. Because salt is dissolved in the brine tank during the regeneration process (about 3 pounds of salt per gallon), the water softener salt must be replenished periodically.